A hearing aid is a small computer, made up of delicate parts and circuitry. Even with the best maintenance and care, a hearing aid can need repair on occasion. If you find that a part of your hearing aid is broken, missing or doesn’t turn on as you would expect, it may need some extra attention. Dr. Chad and Dr. Pastore can assist with diagnosing the problem, fixing minor parts or sending the hearing aid to the manufacturer for more in-depth repair. We know you don’t want to be without your hearing aid, so we will do our very best to limit the time you are without you device when you bring it to our office. We are able to service most major brands of hearing aids, even if you were not fit with them at Cape Cod Hearing. 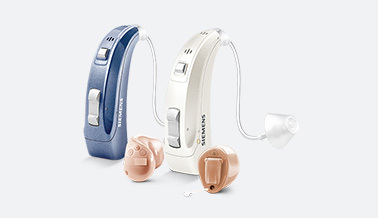 If you would like to inquire which brands of hearing aids we service, please contact our office. We know that hearing is a priority, and we would be happy to assist you. When you bring your hearing aid to our office, we will determine if it is still under a warranty from the manufacturer when you purchased your device, and if the warranty has expired, we can still service most aids for a reasonable fee and add a new one-year warranty if you choose. If you suspect a problem, please do not hesitate to bring in your hearing aids so that we can get you back to hearing your best!